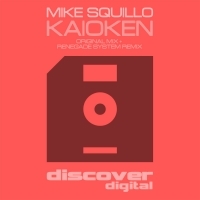 Brooklyn, NY based Trance DJ and producer Mike Squillo joins Discover Digital with label-debut 'Kaioken' after his foray into the dark side on Discover Dark. 'Kaioken' is beastly example of pumping Trance - huge bass, euphoric vocal samples and intriguing beats. Joining Mike on the remix is Renegade System, who's remix evokes Thunderdome, Gabba-like brutal bass bombs. With almost 100 releases under it's belt, Discover Digital aims to showcase the most cutting edge and upfront electronic music on the Trance scene. Born out of the success of Discover Records, Discover Digital was an early pioneer of the digital-only label imprint trend. 'Kaioken' is available now from Beatport and iTunes.